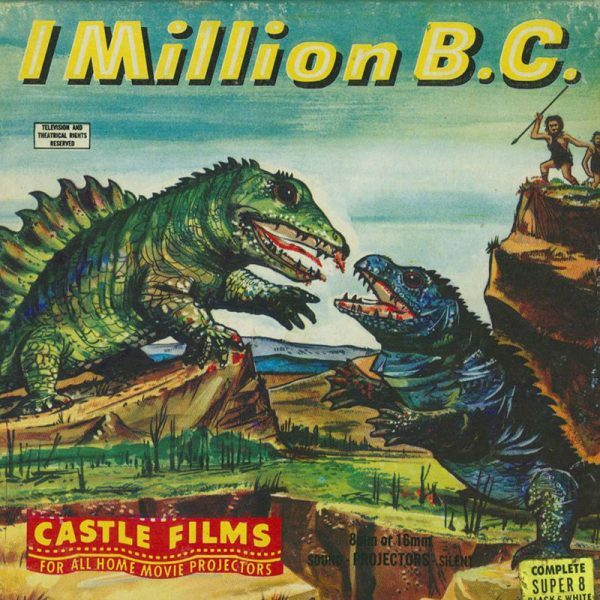 Selected scenes from the American fantasy film One Million B.C. from 1940, directed by Hal Roach and starring Victor Mature, Carole Landis and Lon Chaney, Jr.. Silent with English subtitles. The print is a bit on the light side (as all prints of this release are). The film comes in a plain box. The cover art shown is for reference only. Released by Castle Films, USA, as Battle of the Giants.